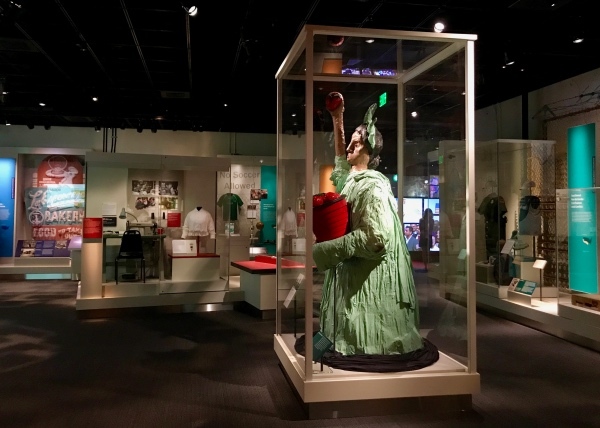 “The Nation We Build Together”: Smithsonian enshrines CIW’s Lady Liberty on permanent display in new exhibit at American History Museum in Washington, DC! 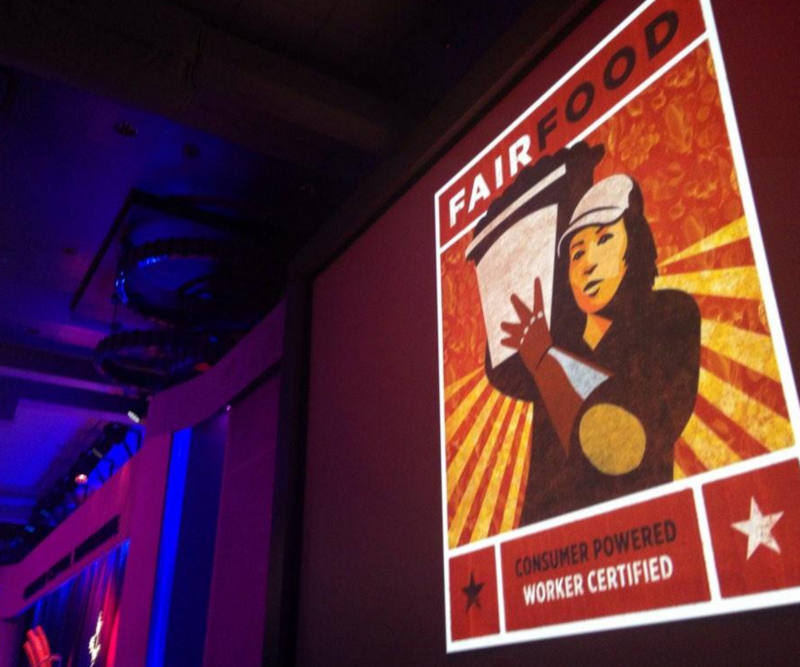 It was a remarkable day, even measured against the standard of the CIW’s often dizzying history. 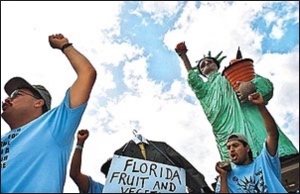 Marchers carrying the CIW’s Lady Liberty statue arrive at the offices of the Florida Fruit and Vegetable Association in Orlando at the end of the March for Dignity, Dialogue, and a Fair Wage on March 4, 2000. 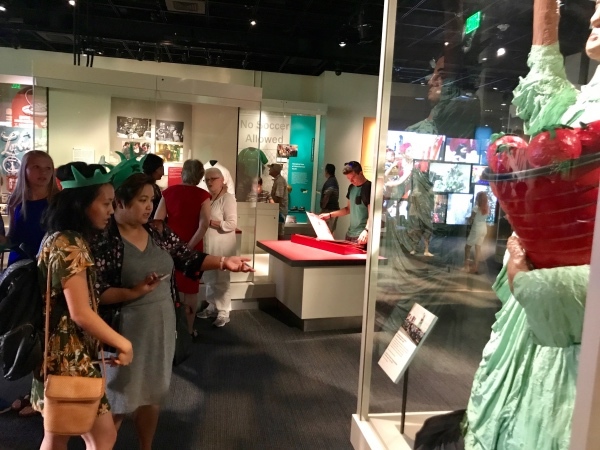 On Wednesday, June 28th, far from the dusty streets where Immokalee’s farmworkers launched their struggle for fundamental human rights nearly 25 years ago, the Smithsonian’s National Museum of American History in Washington, D.C., placed the CIW’s Lady Liberty statue — all twelve feet of her, from the hem of her skirt to the tip of the bright red tomato in her outstretched hand — on permanent display. 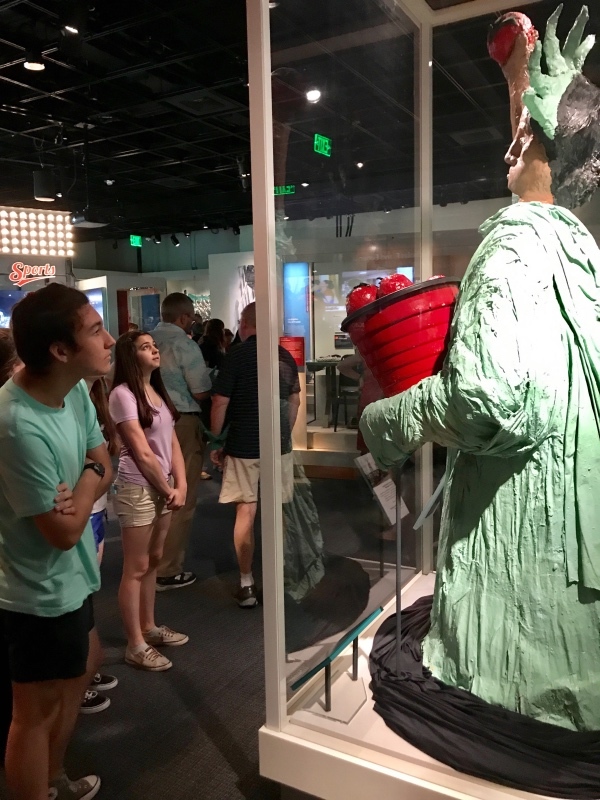 The statue, once carried across the state of Florida on the shoulders of farmworkers as part of a 235-mile march for “Dignity, Dialogue, and a Fair Wage” (right), is now part of a striking new exhibit entitled “The Nation We Build Together,” a collection of distinctly American protest art, cultural objects, and political memorabilia that has been seven years in the making. 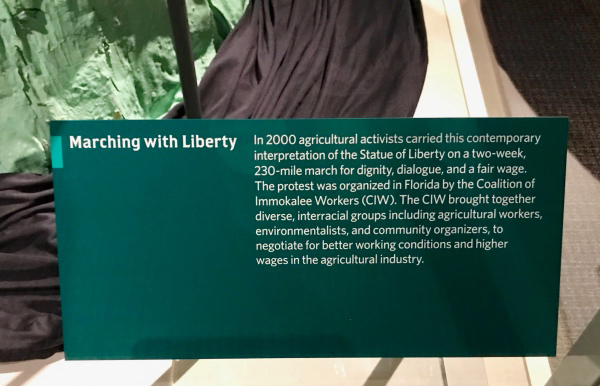 And so as of this week, the CIW’s statue has a new home in the nation’s capital, and it will remain standing in that new home — representing the struggles, hopes, and contributions of farmworkers and immigrant laborers across the country — for years to come, a permanent beacon of humanity amidst the shifting values of its new hometown. 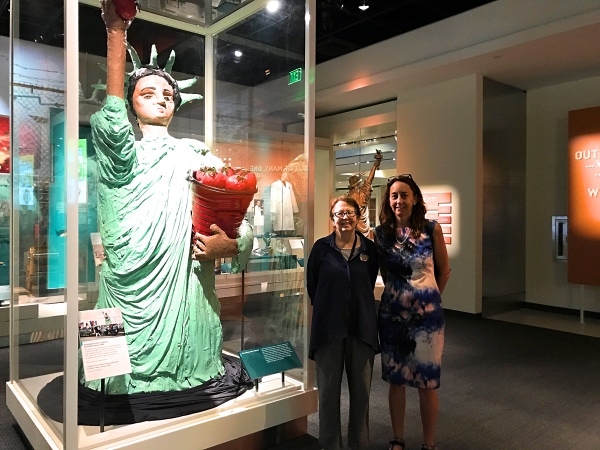 The CIW’s Laura Germino, right, Director of the CIW’s Anti-Slavery Program, stands with Dr. Barbara Clark Smith, Curator with the Smithsonian’s Division of Political History, before Wednesday’s ribbon-cutting ceremony officially opened the new exhibit to the public. The exhibition’s grand opening was a memorable event, not just for the CIW representatives in attendance that day, but for the thousands of people who were fortunate enough to be part of the unveiling of a deeply thoughtful and provocative collection, an assemblage of everything from the desk Thomas Jefferson used to draft the Declaration of Independence in 1776, to the Woolworth’s department store lunch counter where, nearly two hundred years later, black college students organized a peaceful sit-in in Greensboro, N.C., and demanded that the promise made in that Declaration — that “all men are created equal… [and] are endowed by their Creator with certain unalienable Rights” — be made real. 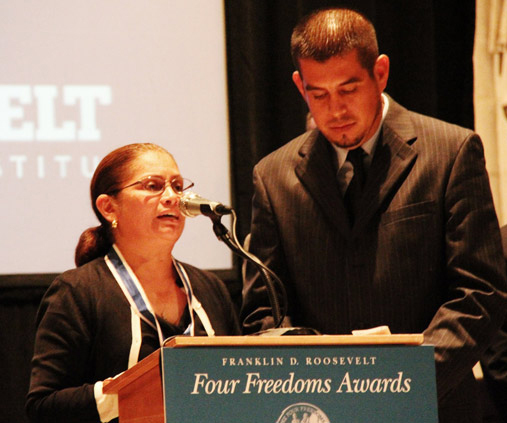 We have a few photos from the opening to share the excitement of a moment nearly twenty years in coming. 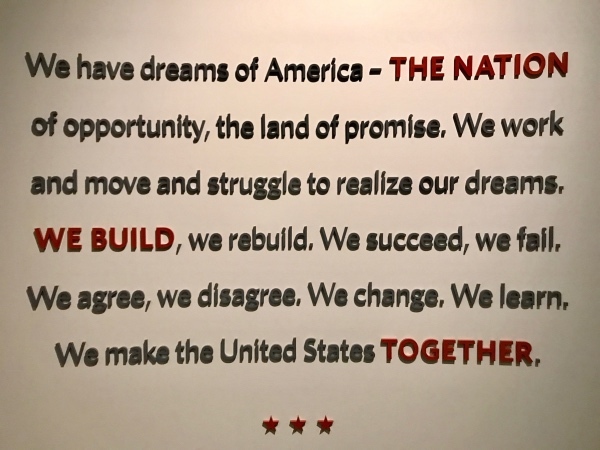 … Then in 1960, four African-American college students asked What Kind of a Nation Do We Want to Be? 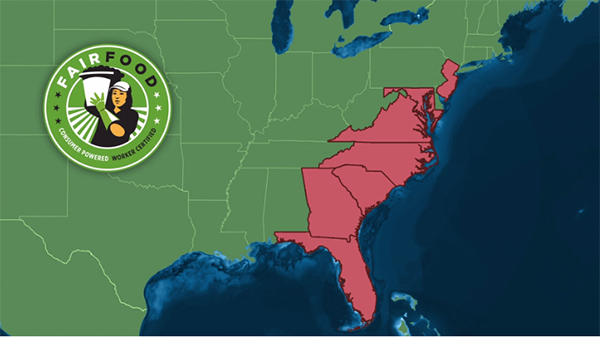 as they sat down at a segregated lunch counter in Greensboro, North Carolina. 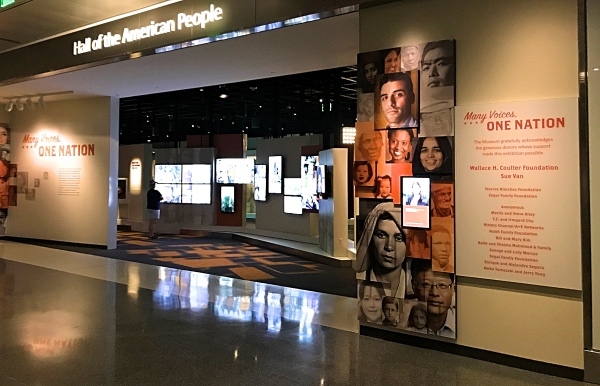 Powerfully installed in our new Unity Square, the Greensboro Lunch Counter is an emotional and vivid representation of our ongoing quest to fulfill the promise of American democracy. 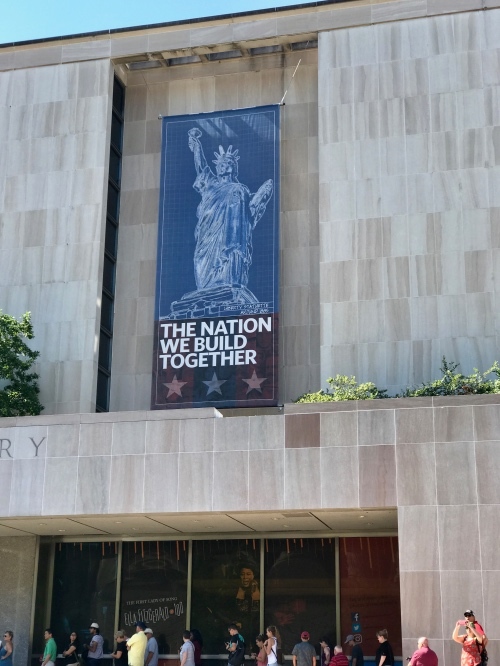 … These national treasures, and many others, inspire, challenge, and celebrate our shared history. 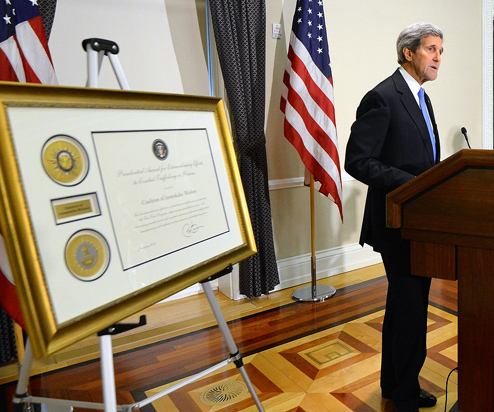 … from all corners of the nation, long after those of us reading this post today are gone. 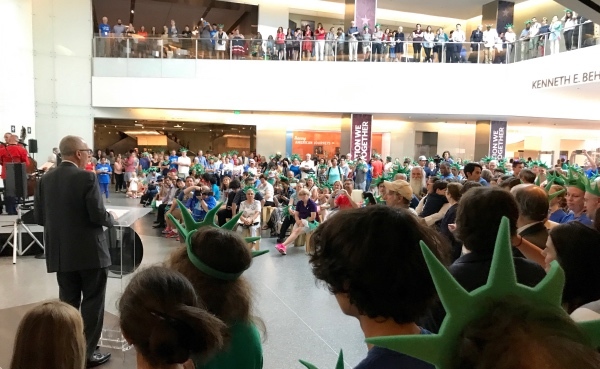 … and of the challenges that remain as we, one people, continue to wrestle with the fundamental question of the American experiment posed in Dr. Skorton’s opening remarks: What Kind of Nation Do We Want to Be? 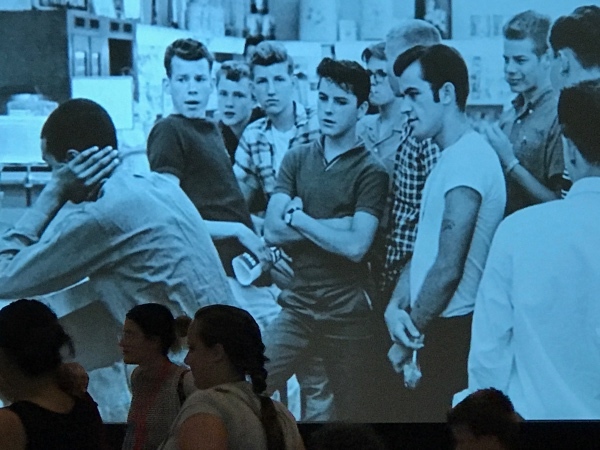 The final gallery in the new exhibit, entitled Unity Square, houses the iconic Woolworth’s Lunch Counter and places museum goers, through a remarkable interactive theater, in both the position of those brave young college students and in that of those young men pictured below — many of them still with us and in positions of power in their 70s and 80s today — who harassed, spat on, and beat civil rights activists in the 1960s in their own, now-discredited, answer to our country’s eternal question. 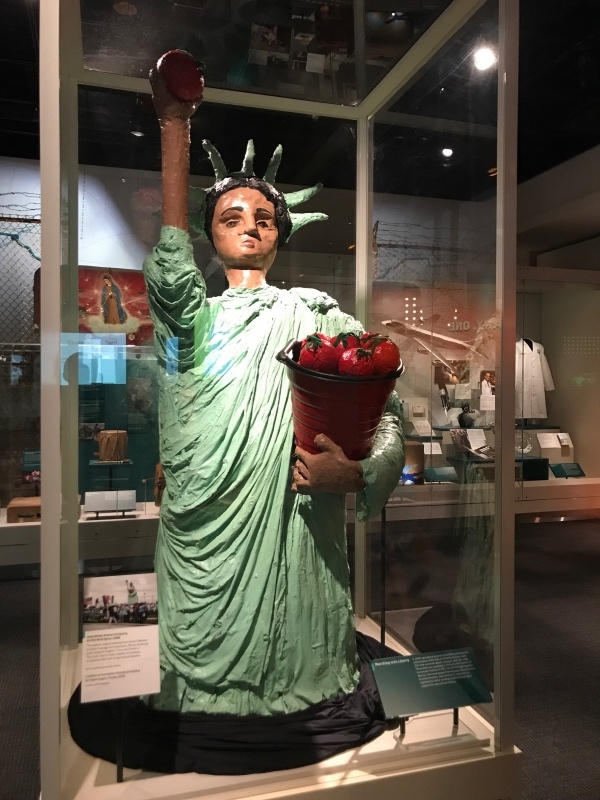 As the final images of this extraordinary new exhibit remind us — and as the continuing Campaign for Fair Food in the streets outside the museum’s walls powerfully underscores today — the history of this country is the ever-unfolding story of our collective efforts to realize its founding call to freedom. 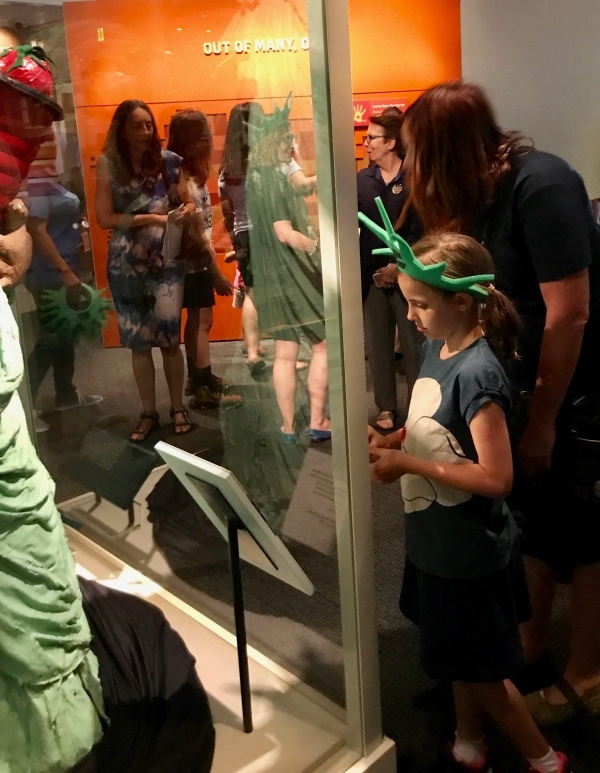 The tension between the beautiful promise of equality in our founders’ words, on the one hand, and the all-too-often harsh reality of fear and repression in our current lives, on the other, has driven the American narrative for centuries. 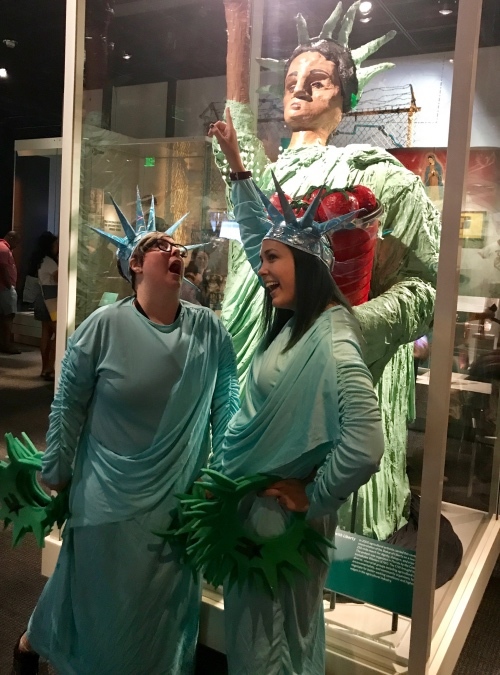 And that same tension animates this powerful new exhibit — with the CIW’s Lady Liberty squarely at its heart. 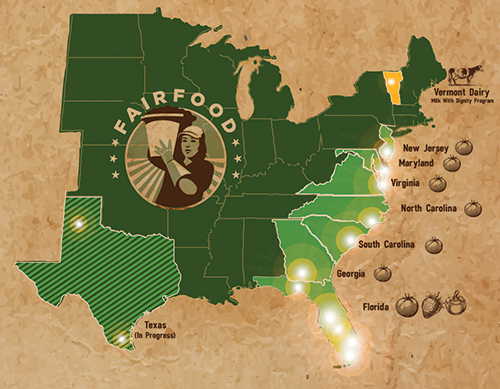 It is an exhibit that every Fair Food activist should make a point to visit on their next trip to the nation’s capital. 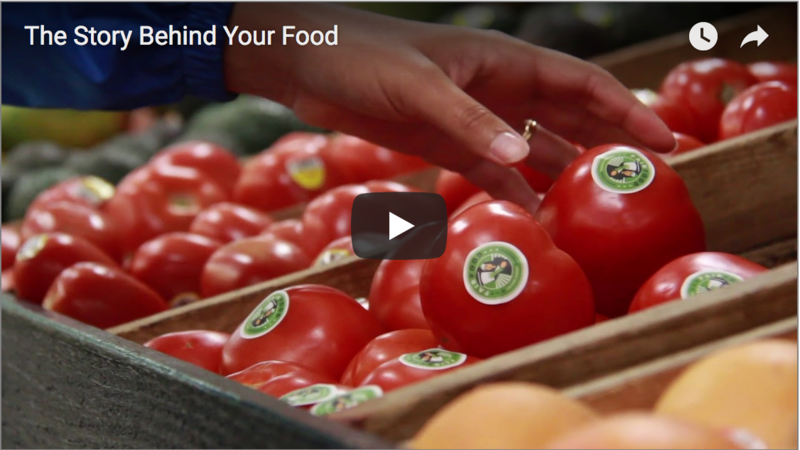 PHOTO SLIDESHOW: Fair Food Program education travels to Georgia, South Carolina and North Carolina! 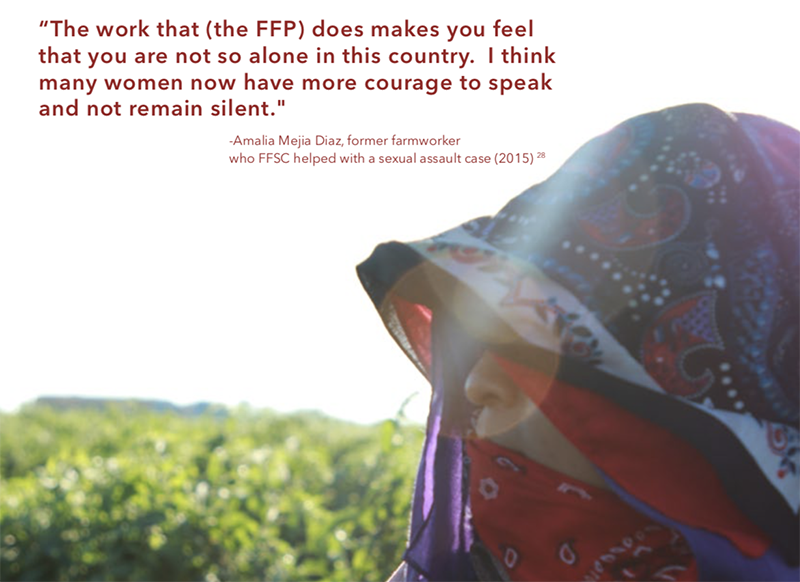 U.S. soccer legend Abby Wambach, NY Times best-selling author & activist Glennon Doyle Melton, visit Immokalee to talk Fair Food Program, ending violence against women!